Celebrate the start of Toronto design week at TO DO’s Festival Party on Jan. 16, 2017! This year’s event will take place in the historic Church of the Holy Trinity (#bless up), in the heart of Trinity Square. 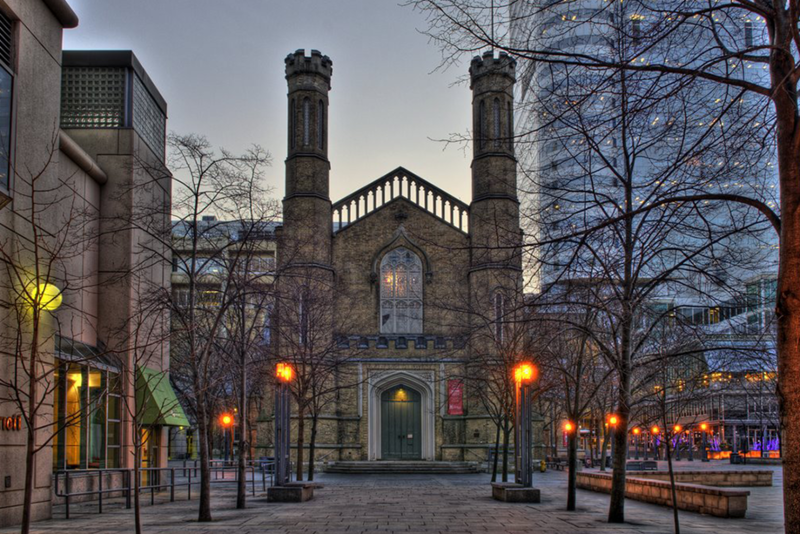 Surrounded by modern buildings, the gothic structure emphasizes verticality and light, and is the perfect venue for designers, artists, craftspeople, VIPs, and attendees to come together and celebrate Toronto’s dynamic design community. The Festival Party will showcase an installation from Design Fabrication Zone (DFZ), Ryerson University’s interdisciplinary incubator for design and fabrication. DFZ focuses on the acceleration of project ideas to strategically implement them into real-life applications and business innovation. DFZ has made headlines for its interesting exhibitions, including ‘Going Fluid’, which focused on demonstrating how plastic surgery procedures affect and shape urbanism. We’re offering a little something extra for Festival Party attendees this year. In addition to DFZ’s installation, TO DO will be featuring its inaugural outdoor installation ‘Resurfacing Taddle Creek’. The installation, designed by North Design Office, resurfaces the rich history of Toronto’s Taddle Creek by animating a portion of its path that lies underneath Toronto city streets. The 2017 Festival is our largest to-date with over 100 events, exhibitions, and installations to be showcased. So, you know we’re going to start it off with a bang! Purchase your tickets here, and party with DJ Sigourney Beaver, DJ Joe Blow, and the whole TO DO crew on January 16, 2017. Special thanks to Trail Estate Winery and Steam Whistle Brewing.